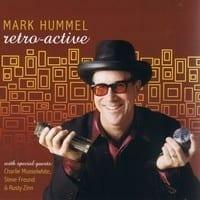 Listening to Mark Hummel’s latest CD, I have to smile. You see, I remember when Mark first moved to the San Francisco Bay Area, where I grew up. It was 1973, and the City By The Bay and its surrounding neighborhoods had one of the hottest blues scenes in the country. The select but formidable block on which Mark was the new kid included such harmonica stalwarts as Mark Ford, Gary Smith and, soon thereafter, Norton Buffalo. Prior to forming Little Charlie & the Nightcats with harpist Rick Estrin, there was a time when Charlie Baty had to decide whether to pursue guitar or harmonica — he was that good on both. And, of course, the king of the hill was Charlie Musselwhite. Mark was already a good player when he arrived from Los Angeles—plenty good—but what impressed me most was his dogged perseverance. He played seemingly every dive in an ever-widening radius, and sat in with just about every local and visiting blues act. It seemed like whenever I saw him, he was a little bit better than the time before, and when I eventually moved away and had occasion to return a couple of years later, he’d grown by leaps and bounds. He was no longer a kid listening to the masters; he was becoming one of them. 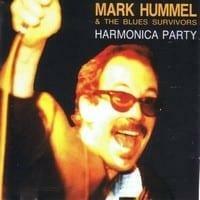 And although his group’s name, the Blues Survivors, may have initially seemed premature for a 19-year-old, it now fit. 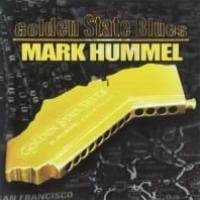 So it makes me smile to see him hosting his popular “Blues Harmonica Blowout” at Yoshi’s, the East Bay’s swanky jazz club, and it seems fitting that his first live album was recorded not in San Francisco but in Ontario — because by now Mark’s music has taken him around the globe, and he spends much of his time on the road. This album accurately captures the sound and feel of one of Mark’s high-energy gigs, and, thanks to CD technology, serves up a whopping 76-minute helping. Over the years, a lot of great players have passed through the Blues Survivors, but the current edition is one of Mark’s best, displaying the same road-seasoned assurance as its leader. One of the hardest things for a guitarist to do well (and one of the easiest to do badly) is play a slow blues, but Charles Wheal passes the test with flying colors, recalling early B.B. King on “Everything,” a Hummel original. The program’s shifting grooves evinces the versatility of bassist Steve Wolf and drummer Marty Dodson, who (along with everyone else) is showcased on an extended jam on Johnny Otis’ classic “Willie and the Hand Jive.” Augmenting the band on several tracks is the great Mel Brown, an esteemed guitarist equally at home on keyboards, which he plays here. 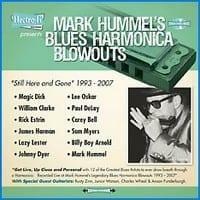 Mark’s harmonica is, of course, featured throughout — from his leather-lunged tribute to James Cotton on “The Creeper” to the understated “100 Years.” For me, the most impressive part of the latter is not the don’t-try-this-at-home extended note (22 seconds — I timed it), but the simple, straight-ahead intro, which Mark plays in economic Jimmy Reed fashion until the very last lick, where he effortlessly switches gears to a fat Little Walter tone. 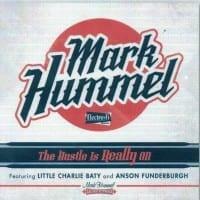 But more important, the sweep of the repertoire, and ease with which Mr. Hummel handles it, shows that our leader is still listening and absorbing — incorporating diverse elements from Buddy Rich swing to early Fleetwood Mac — and still growing as a singer, harmonica player, bandleader, interpreter, and songwriter. 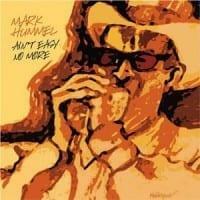 Mark Hummel is a hell of a harmonica player, and a more than half-decent singer. This live outing, pulled from two Canadian dates in September 2003, shows him and his band in very tight form, but relaxed enough to enjoy the party. If you're looking for deep, hard blues, this isn't really the place, although he does dive down for some emotion on "Lost a Good Man." 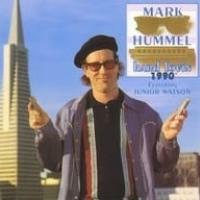 Mostly, however, Hummel keeps it light, as with "My Back Scratcher" or the audience-participation standard "Willie and the Hand Jive." When he's not singing, he gives plenty of room to his playing. He's a good instrumentalist, sometimes quite exceptional, with a strong command of the development of a solo, as on the opening "Rockin' All the Time" or the closer, "The Creeper," James Cotton's workout, where the boogie rolls smooth as silk and Hummel's harp is in overdrive. It's impossible not to enjoy this album -- the band was obviously having a great deal of fun playing -- but at the same time it won't change your life. Take it for what it is, a record to enliven any party, and you won't be disappointed.